Bed bugs are parasitic insects that feed on blood - similar to mosquitoes. Bed bugs are primarily active at night and can feed on their hosts (humans) without being noticed. The most common problem humans humans face from bed bugs are skin rashes and allergic reactions. Image of a bed bug captured under a stereo microscope by Winston Ingram. 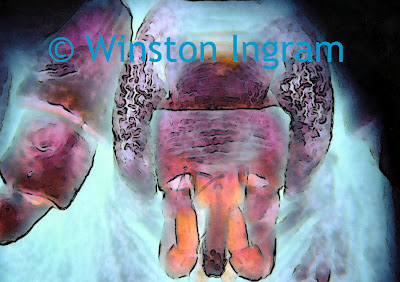 Bed bugs are typically best viewed at around 40x magnification. 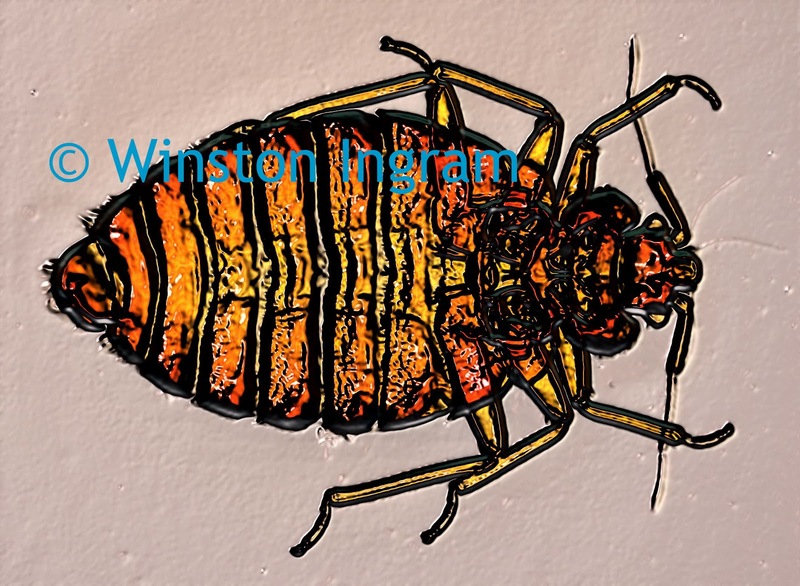 Most bed bugs are 4-5mm long. Mouth of a bed bug. Bedbugs are very flat, allowing them to hide in tiny holes. A crack wide enough to fit the edge of a piece of thin cardboard card can harbor bedbugs. The most common place to find bedbugs is the seams of a bed, crevices of the mattress, box spring, bed frame and headboard. Bed bugs are also known as louse, mahogany flat, crimson rambler, heavy dragoon, and redcoat. A recent increase in bed bug infestation is likely due to increased resistance to pesticides used to eliminate bed bugs.